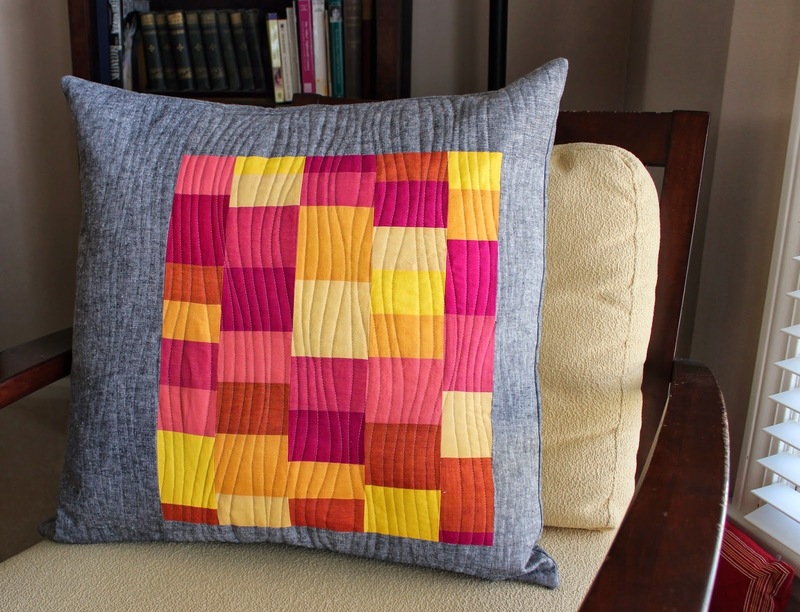 Quilted pillows are such a nice way to explore new designs. 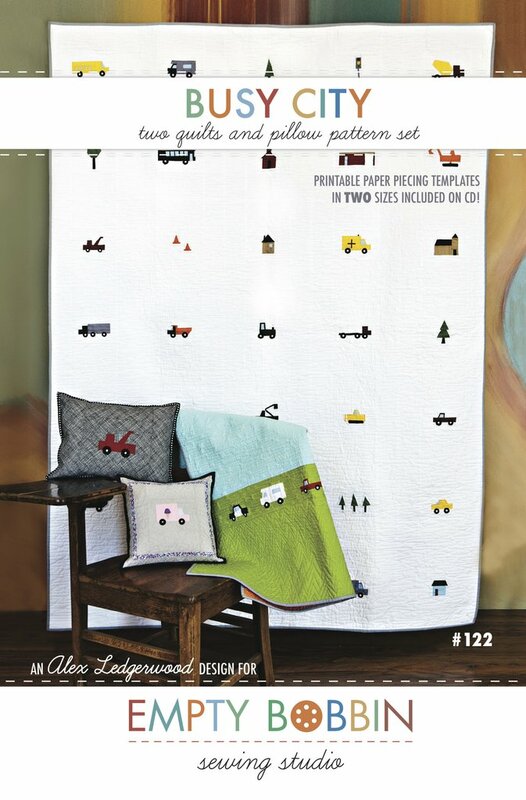 They are quick to make, a great use for scraps, and easy to quilt on your home machine. The small size means you can try out a new idea, especially an improv one, without much commitment in the way of time or materials. It is a maquette you can use on your couch! 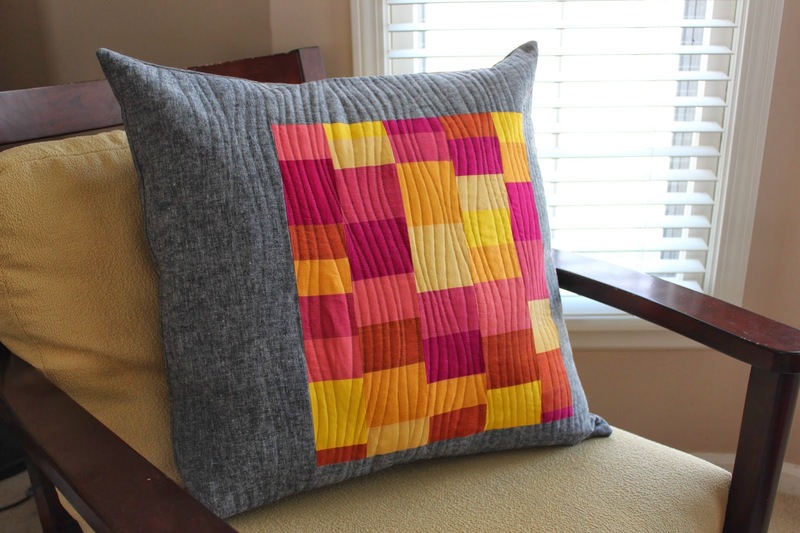 I used shot cotton scraps in warm colors with black Essex linen for this oversize pillow cover. It is 24 inches squares. The back is a self lining envelope closure based on Amanda Jean's tutorial. 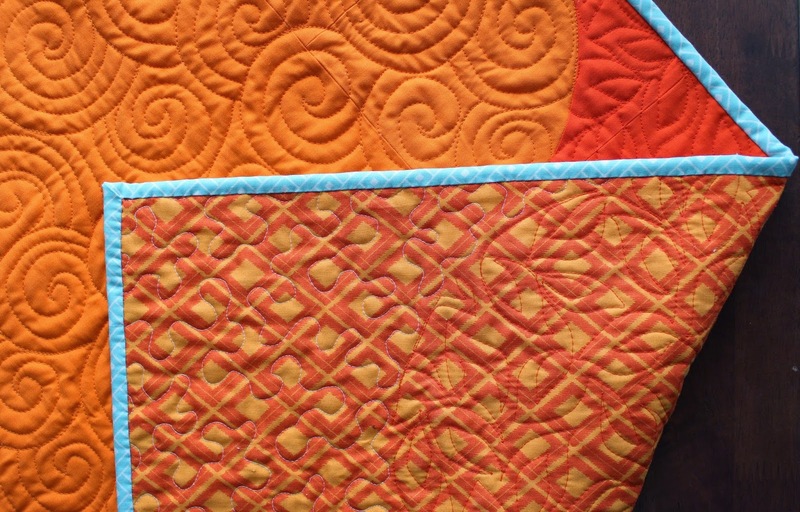 I created the wavy quilting with my walking foot and Aurifil 50 wt thread. 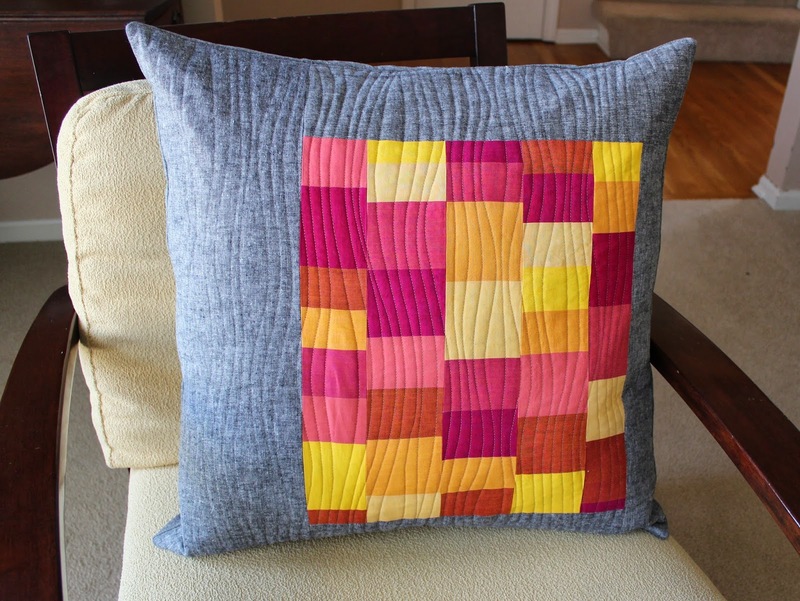 This quilted pillow cover is in my etsy shop now. 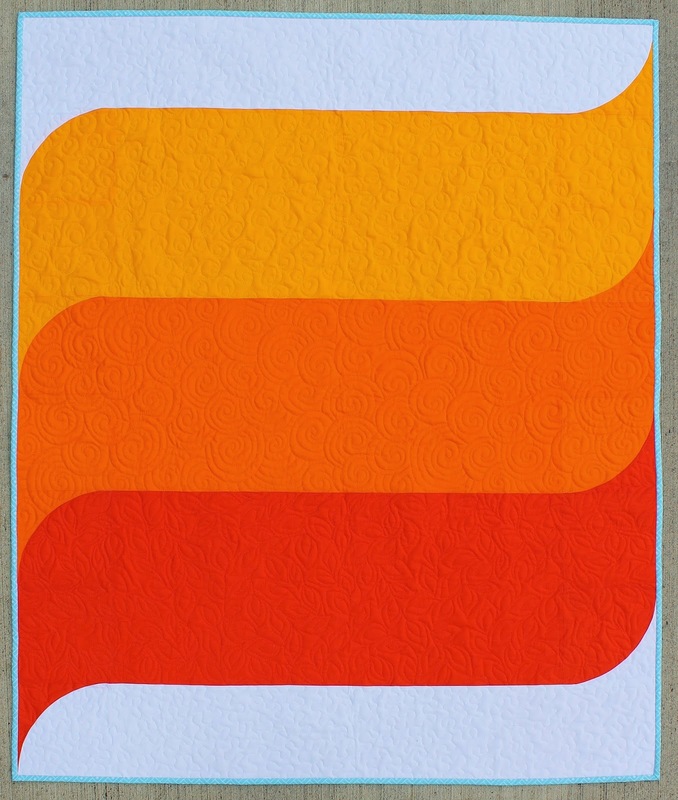 I finished up another Waves Quilt in sunrise colors. This design makes a bold, modern statement, while it's clean lines are simple enough to work well with a variety of nursery themes. 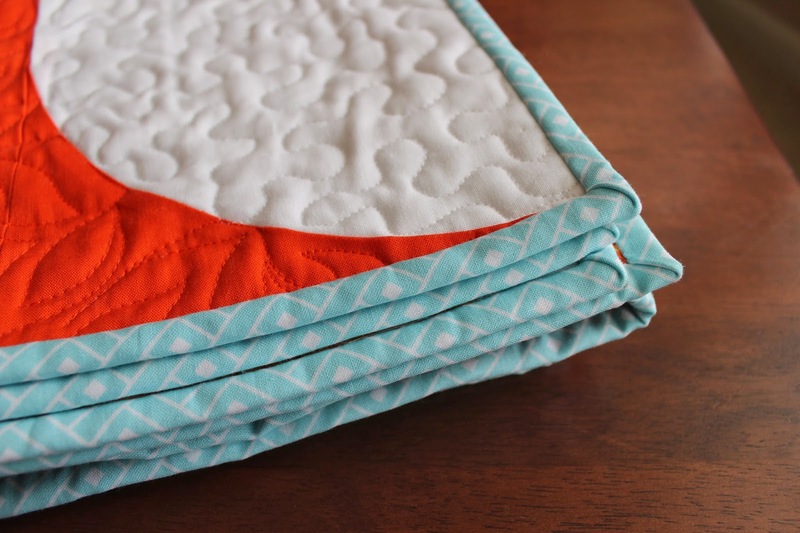 Gender neutral colors likes these warm solids makes the quilt is even more versatile. 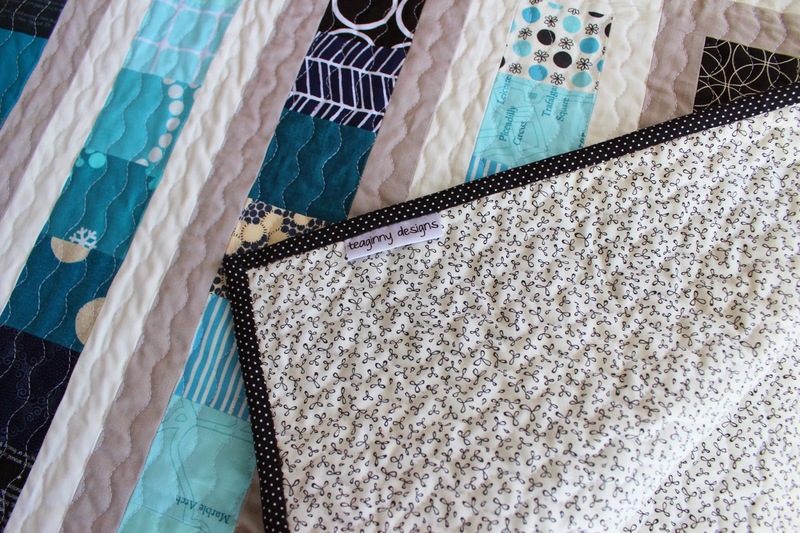 I backed the quilt in a diamond print from the Simply Color line, and I picked a contrasting aqua binding. 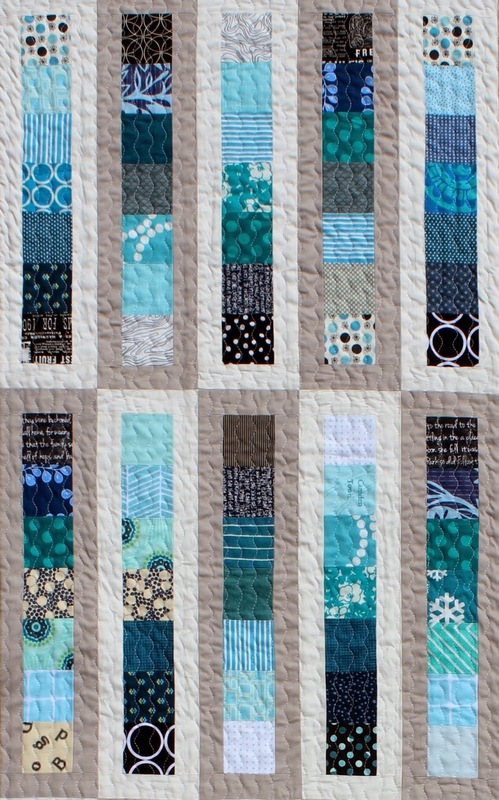 I don't know why I resisted the orange and aqua combination for so long. They are made for each other! 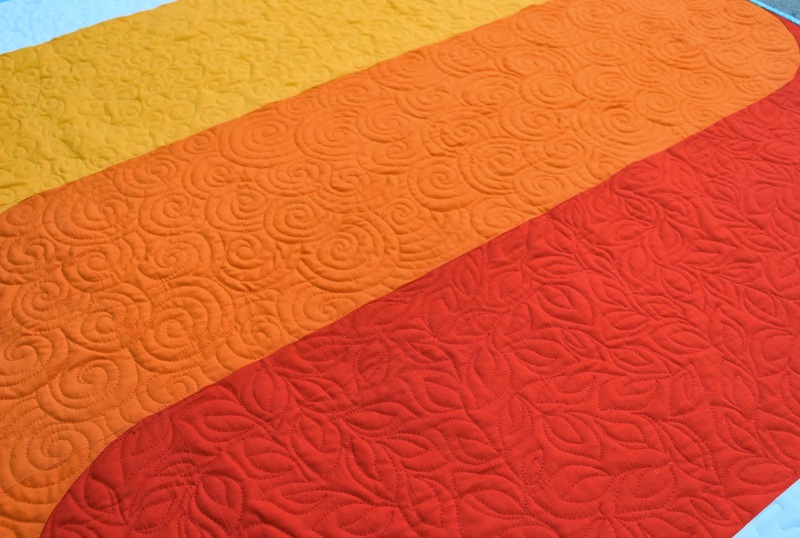 As with my first Waves Quilt, I created a different free motion quilting design in each color with matching thread. 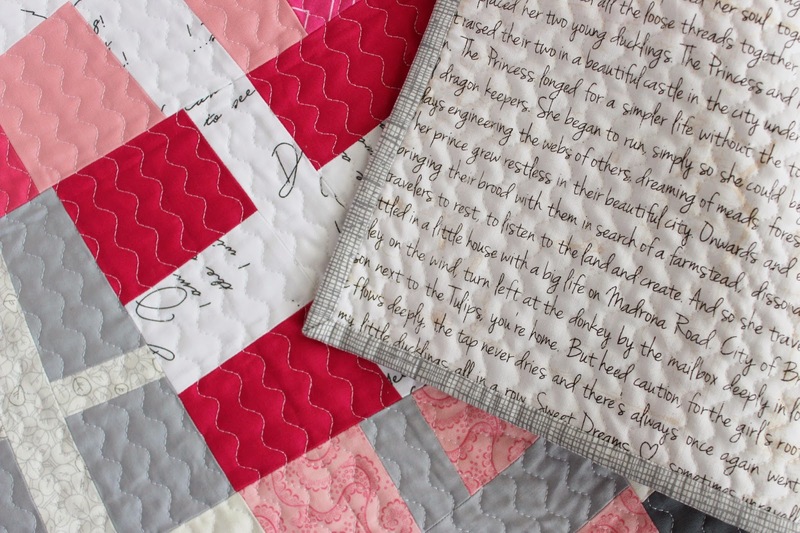 The quilt is listed in my etsy shop. 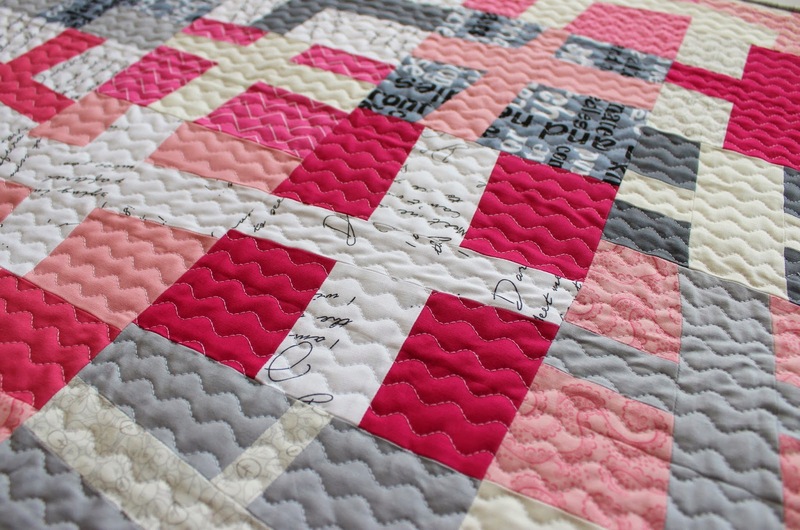 Also, I am writing a pattern for those of you who would like to make your own Waves Quilt. 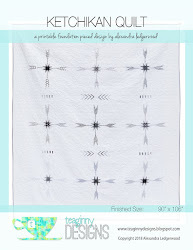 The PDF pattern is available for instant download here. At its most basic, a wonky cross block (aka liberated cross or wonky plus sign) is a slice and insert technique. A square or rectangle is cut across and a strip inserted. Then the block is cut a second time, roughly perpendicular to the first cut, and a second strip sewn in. 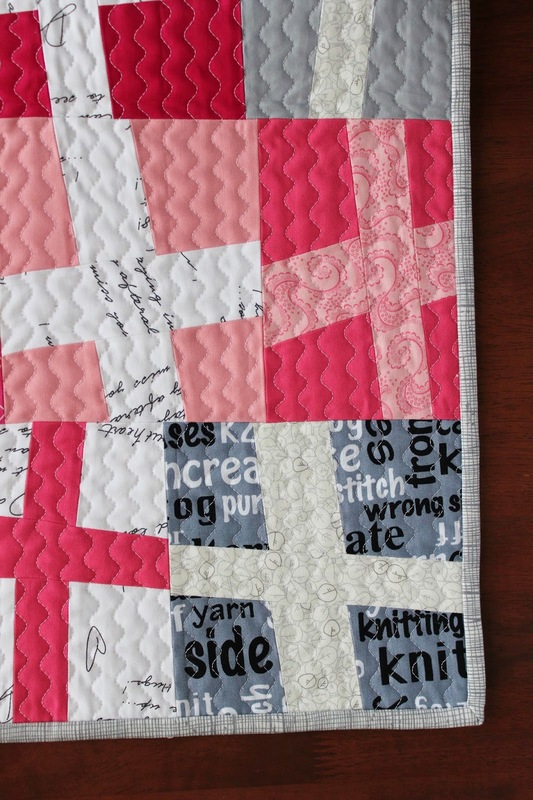 For all my love of improv quilting, I have never made a wonky cross quilt, or even a block. 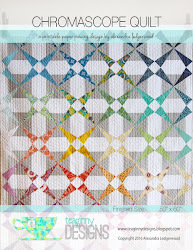 I'm not sure why, since this quilt by Rossie and this version by Carla are among my favorite modern quilts. So when my month of the Whatever Bee came around, I decided to remedy all that. I pointed my bee mates to Carla's tutorial, which makes two at a time. I decided to make a maquette (a technique I explained here), to get a feel for the blocks and their arrangement. 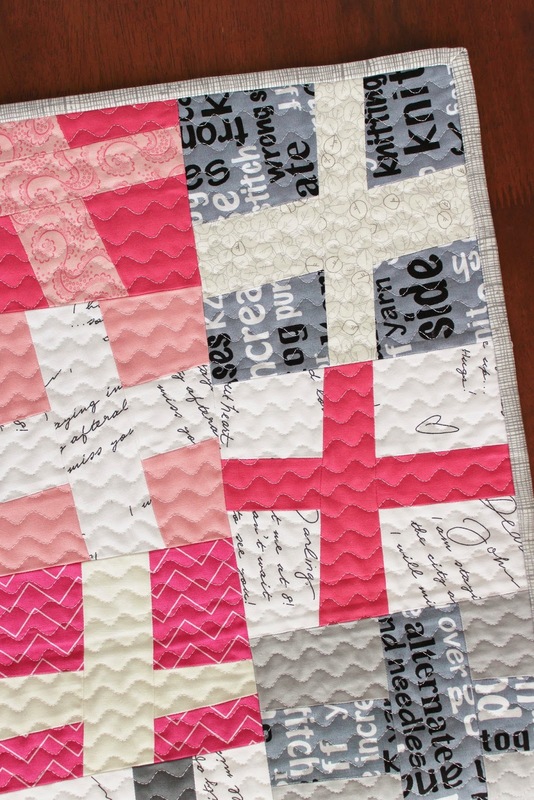 I used pink scraps from my Waves quilt and the grey and white scraps they happened to be sitting next to (I love serendipity in improv sewing) on my sewing table. 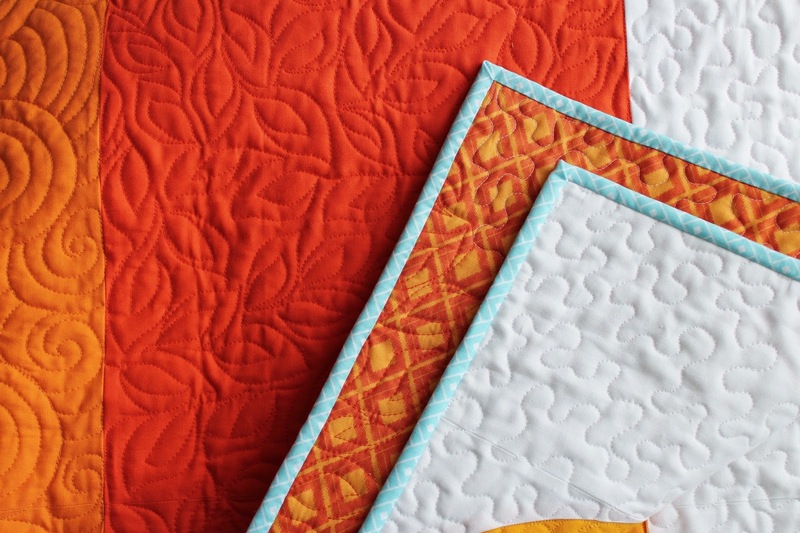 As simple as these blocks are, I learned a lot about my own preferences making this mini quilt. I like some variation in the thickness of the inserted strips: some chunky and some thin. 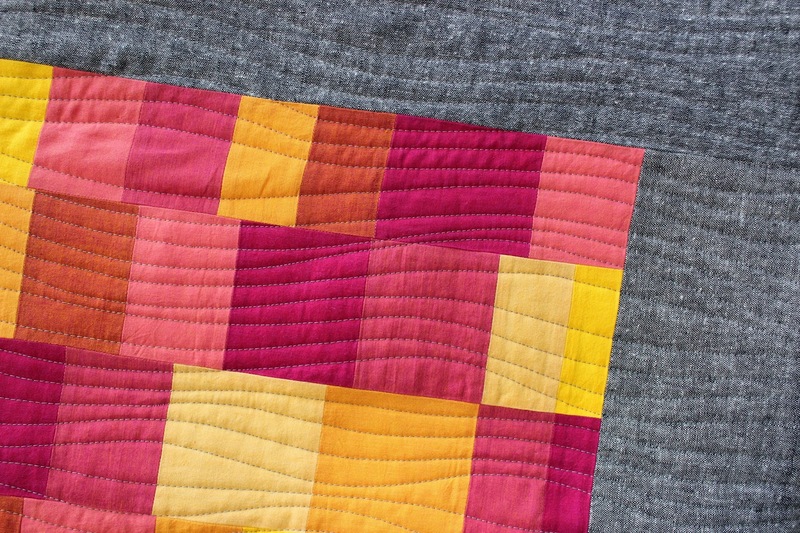 Some cross blocks need to be relatively straight in order for the wonky blocks to stand out. 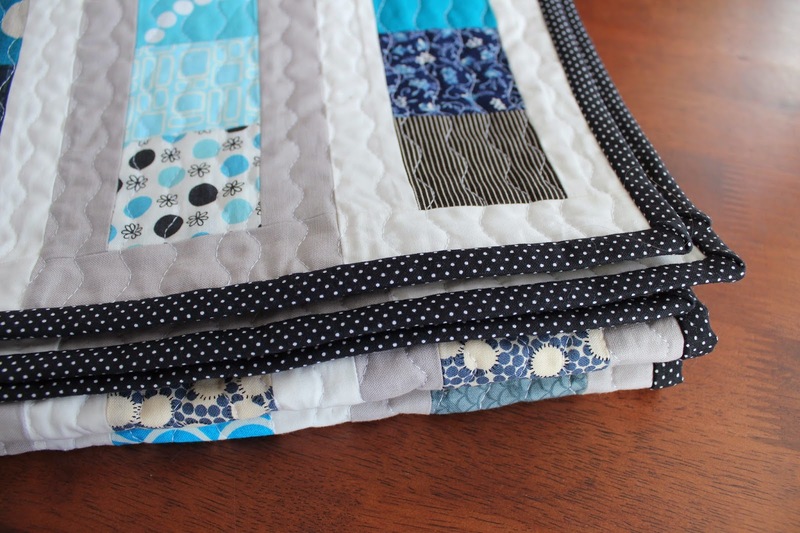 The more fabrics you use, the easier assembling the top will be, if you like to avoid like fabrics touching. 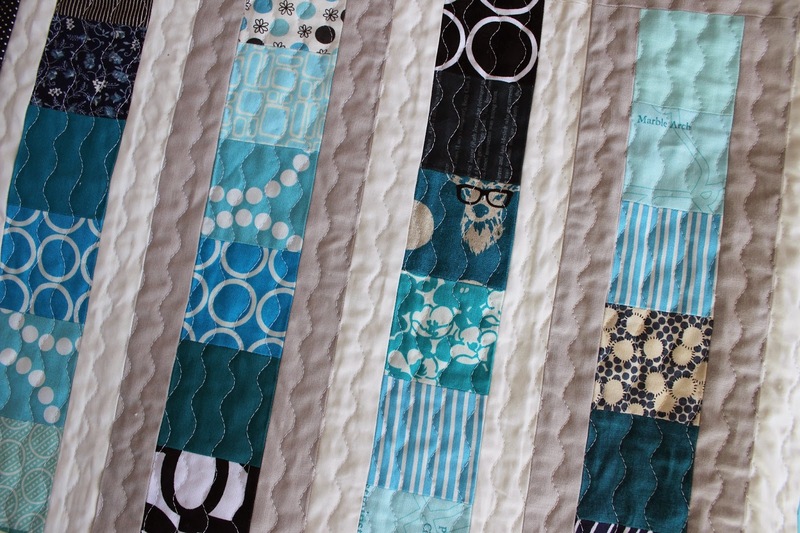 Keeping the blocks the same height but various widths make for an interesting look that is still easy to put together. 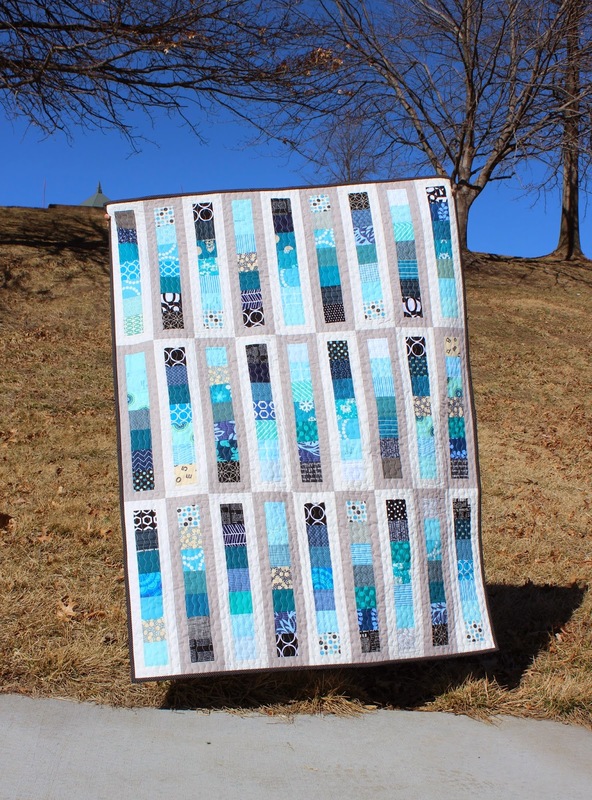 I hope my bee mates will agree this is a good block for a quilting bee: a specific assignment with some flexibility for individual expression. 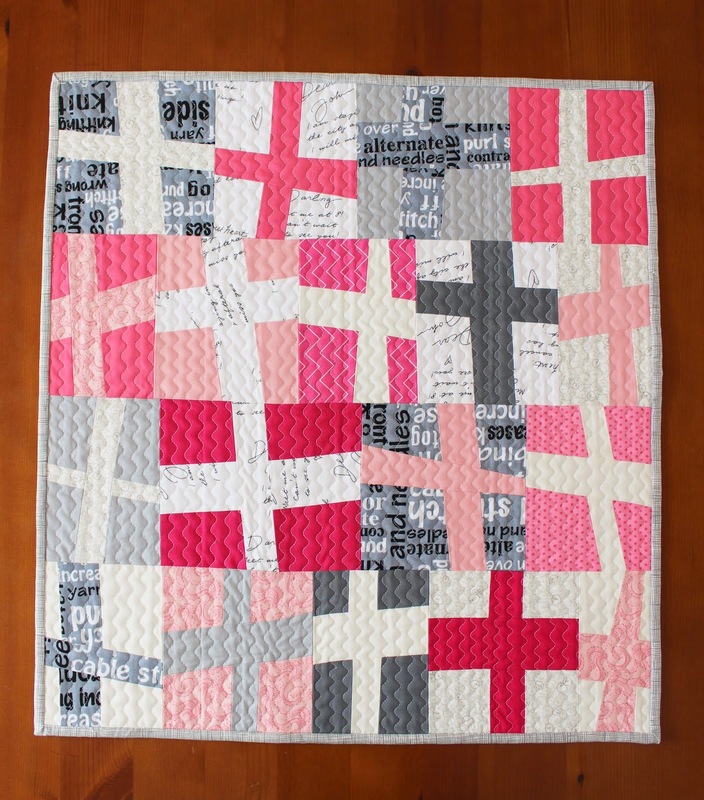 I decided to finish the maquette, since it seemed to me it would make a really cute doll quilt. I put a text print from Verona Road on the back. It's a bedtime story - perfect. 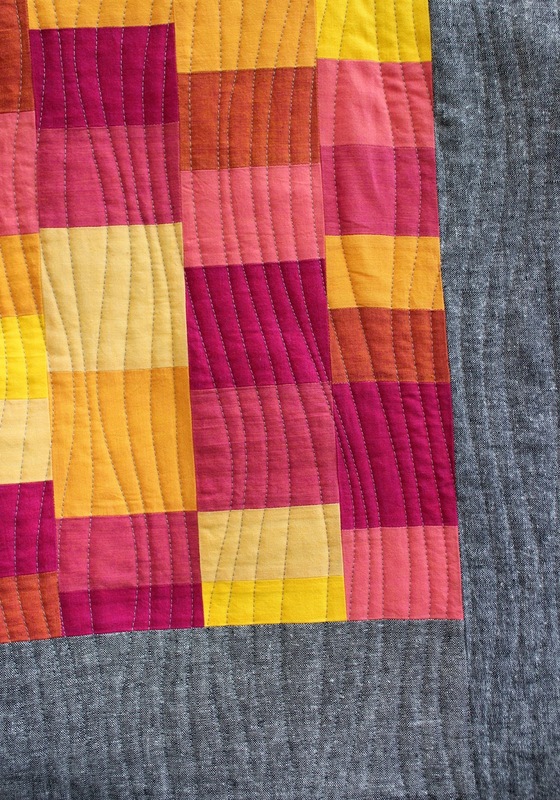 I bound the quilt in grey crosshatch, leftover from the Wave quilt too. 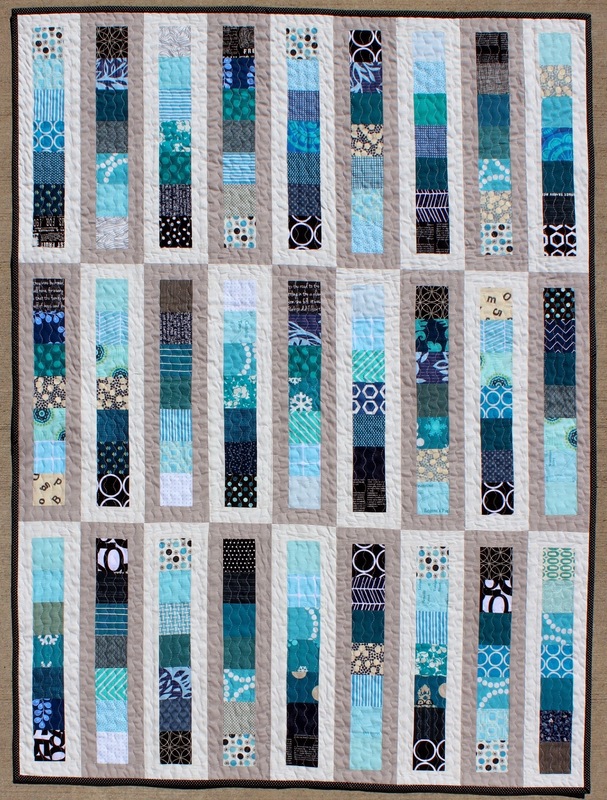 You can find this 23" x 25" mini quilt in my etsy shop. SOLD.